Please include them in the already existing set of PSF2. Other stream BGM does not include in this set because it contains sound effects and voices. @mogikihei: Thank you, uploaded the new sets and updated the old ones with your additions. Are we missing anything from Shin Megami Tensei 3 rip? @Knurek: Most of the missing tracks are in ZZZ Unknown. I think that it is PSF2 but it is not included in this set. I do not know how to make from SMG to PSF2, so I can not verify it from data that has not been ripped. Could you guys point me to Vita sets that use .VAG? Also Murasaki Baby has .VAG but I noticed some contain an extra header and multiple sub-files, is this correct? I think Murasaki Baby needs to be reripped. Well, as far as Murasaki goes, it was a Unity game (which I admittedly find a pain to rip sometimes), so would you guys prefer if I just posted the assets/resource files? You guys might get better results from them than I did, heh. 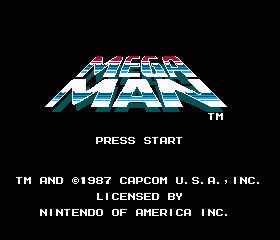 Has nobody ever ripped Mega Man 9 and Mega Man 10 music? We got Wii, 360 and PS3 versions for reference, there's gotta be a reason why it hasn't been done. I searched a bit on these forums and there seemed to be a rip a long time ago, but the links are dead. It's also kinda strange: supposedly, one of the versions has each "channel" as individual tracks that play simultaneously to emulate the NES' channel interruption on gameplay SFX. Would that be the reason why they weren't properly ripped? I'm curious if the Wii version's music wasn't straight up .brstm files a-la other WiiWare games like Contra Rebirth. IIRC, one of those is actually sequenced(9 I think). Did anyone say new virt soundtrack? PC rip of Shantae - Half-Genie Hero (2016-12-20)(WayForward) should be up on the server in an hour or so.